The FDA’s UDI system of medical device identification is well under way to its final implementation. Class III items and implants are already required to comply and there’s a compliance date of 24 September this year for Class II items. The compliance process is due to finish in September 2021. DQ takes the form of a final/approved design specification from which the equipment is ordered from its manufacturer. Without full support from that manufacturer, the remaining steps (IQ, OQ and PQ/MQ) have the potential to become both expensive and time consuming. To meet the Installation Qualification (IQ), medical device manufacturers must prove and document that the equipment has been received and installed according to the requirements set out in the Design Qualification. The Operation Qualifier (OQ) relates to the correct functioning of the equipment to customer-specific configurations as set out in the specifications. The Performance Qualification (PQ) verifies that the equipment is working reproducibly and consistently appropriate to its routine use within the specified performance parameters. The associated Maintenance Qualification (MQ) refers to machine operation, maintenance and service including the service agreements. All of the above qualifications have to be prepared and submitted by the medical device manufacturer to gain FDA UDI conformity. In preparing these audits, costs to the manufacturer of around €20,000 are not unusual. 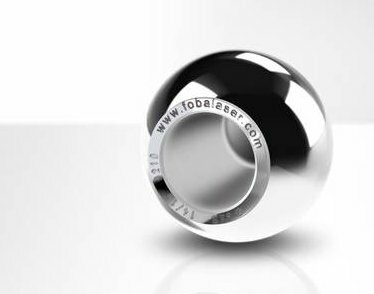 TLM Laser’s product partner, FOBA, offers their medical technology customers an IQ/OQ and a PQ/MQ support service at a much reduced cost. This support applies FOBA’s technical know-how to the customer’s processes to ensure qualification in the shortest time, perfect adjustment of the system to the customer’s specification and long-term reliability.